﻿ Kumho Jeju Resort, Jeju Island | FROM $94 - SAVE ON AGODA! Have a question for Kumho Jeju Resort? 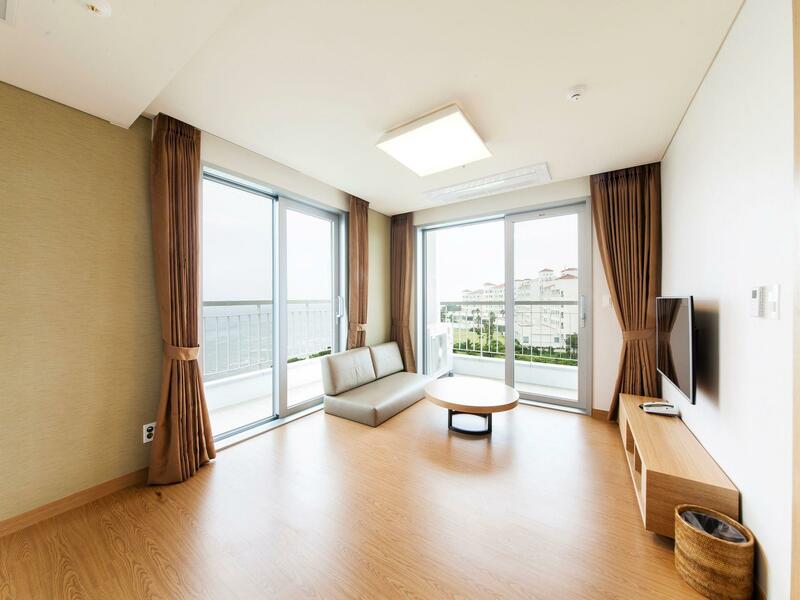 Well-placed in the beaches, restaurants, sightseeing area of Jeju Island city, Kumho Jeju Resort provides a most conducive spot for you to take a break from your busy days. From here, guests can enjoy easy access to all that the lively city has to offer. Also within easy reach are Hueree Natural Park, Soesokkak Estuary. 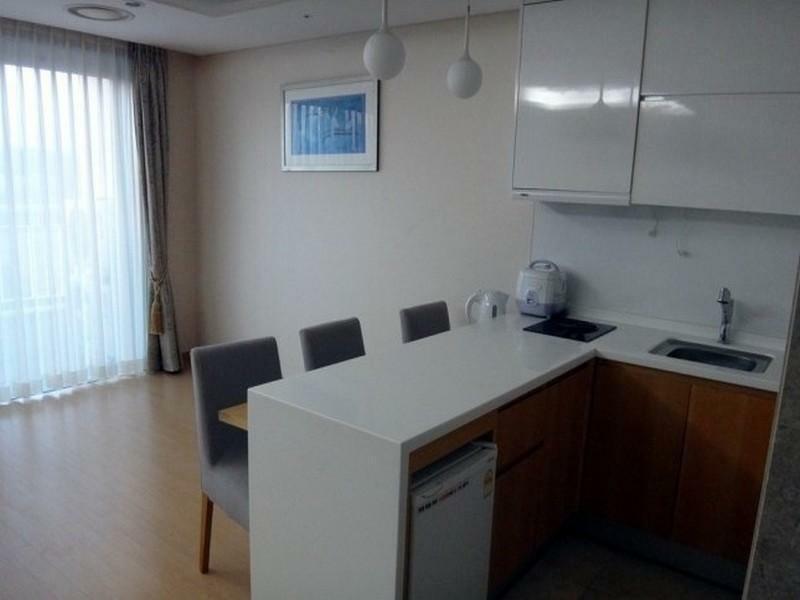 Kumho Jeju Resort also offers many facilities to enrich your stay in Jeju Island. While lodging at this wonderful property, guests can enjoy 24-hour room service, free Wi-Fi in all rooms, 24-hour front desk, express check-in/check-out, luggage storage. In addition, all guestrooms feature a variety of comforts. Many rooms even provide television LCD/plasma screen, internet access – wireless, air conditioning, heating, mini bar to please the most discerning guest. Besides, the hotel's host of recreational offerings ensures you have plenty to do during your stay. Whatever your reason for visiting Jeju Island, the Kumho Jeju Resort is the perfect venue for an exhilarating and exciting break away. An additional charge will be required for use of the swimming pool. The outdoor swimming pool only opens during summer. Very disappointing. We booked this hotel to have the pool facilities for our young children. Upon arriving and trying to go to the pool we were told we weren't allowed to use the pools unless we paid 27,000 per person per day!!!!!. Even when at the pool there was only one area where you could go to eat / drink and buy goods (basic). The rooms were tired with small towels 2 of which had holes in them. They were not serviced at all during our stay (4 nights)The staff were helpful but it was difficult to cope in English as menus were mainly in Korean and sold purely Korean food. The local town has a Paris Baguette, a supermarket and a small limited pizza place.You need a car to move around from this area of the island. I would not recommend it. Secluded resort with poor rooms and services. surprising that it has no WIFI.will not stay again. 올레길이 바로 연결되어 있어 산책하기도 좋고 시설이 깔끔해서 잘묵었습니다..
비수기에 가서 그런지 무료로 업그레이드도 해주셔서 너무 좋았습니다. 위치가 관광지에서 조금 떨어져 있으나 전망도 좋고 산책길도 좋아요. 다만 근처에 갈만한 식당이 마땅치 않았네요. 좀 낡은 느낌의 무난한 콘도. 욕실벽면에 얼룩이 있던게 찜찜해 반신욕 포기했었음. 바닷가 조망과 산책로는 좋았음. 장소는 좋았지만 모든시설이 낡았고, 주차장의 부족함과 limited wifi 때문에 불편했다. Resort라고 부르기엔 무언가 특별한 시설이 없었고, 그저 가족여행을 하기에 편한 숙박시설만이 장점이라면 장점이랄까 그외에는 그다지 특별함이 없는 그저그런 숙박이랄까? Front desk staffs 의 불친절이 눈에 역겨웠다. 세계를 여행해봐도 한국만큼 숙박객의 옷차림가지고 친절의 정도가 틀려지는건 어쩐지 한국밖에 없음을 확인하는 계기가 됐다. 이래서 한국방문은 꺼려지는게 사실. 다른 콘도와 비슷함. 서귀포와 남원읍 중간에 위치하고 있으며, 가족단위로 조용히 쉴수 있는 곳..